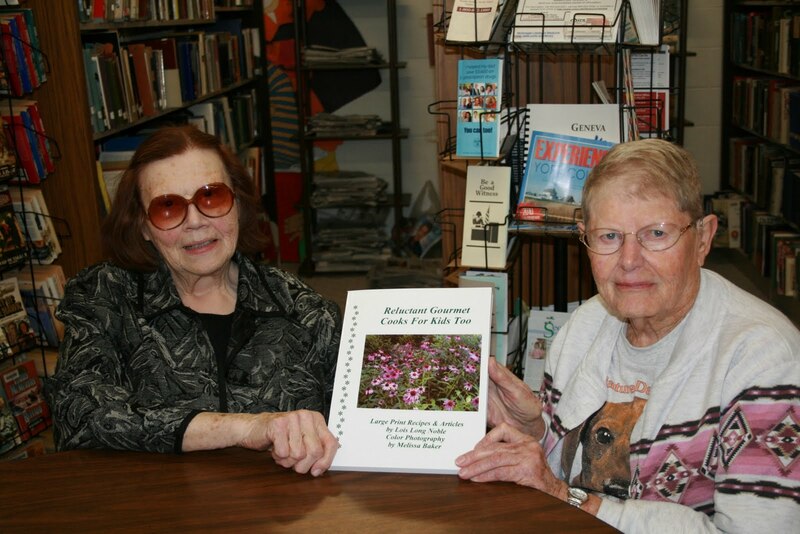 Lois Long Noble (left) and Elva McBride, President of the Exeter United Church of Christ Women's Fellowship (right) hold the cookbook that Noble donated to the group for a fundraiser. 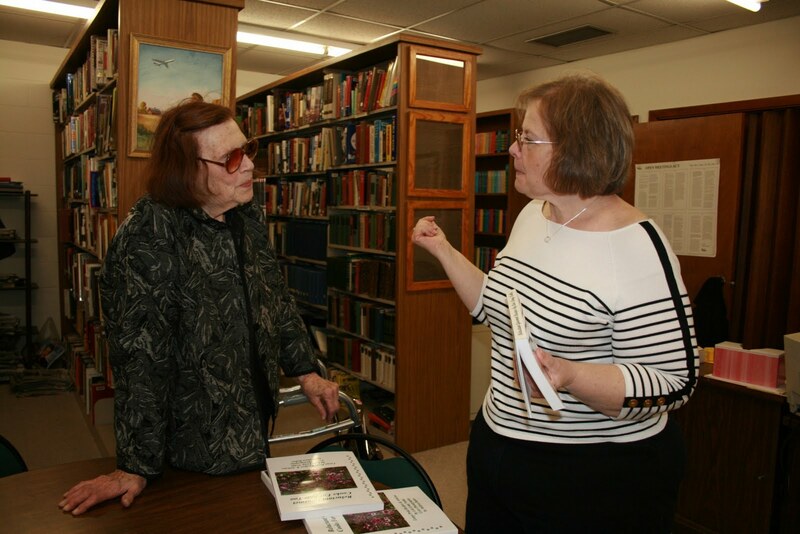 Lois Long Noble (left) and Exeter Librarian Nina Bartu (right) visit about some of the recipes in Noble's book at the Exeter Library. 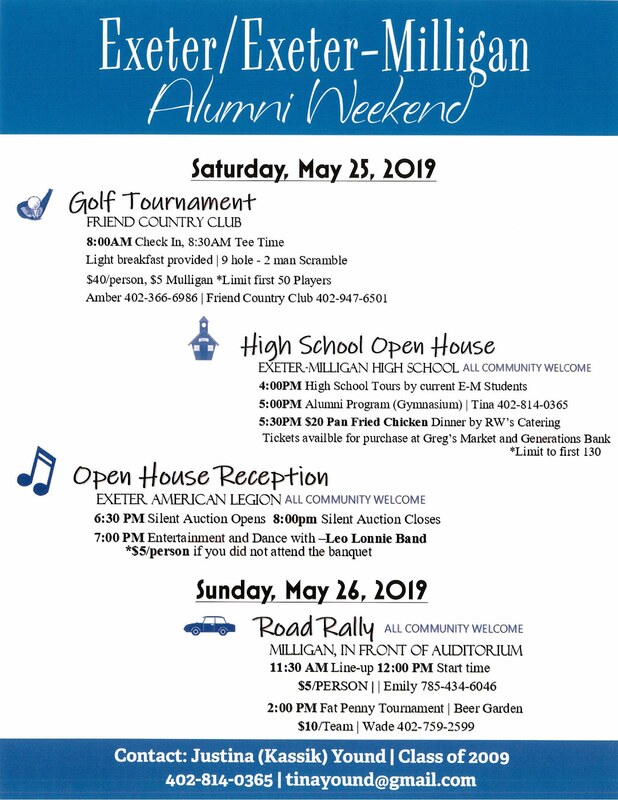 Lois Long Noble grew up in Exeter, and although she has lots of memories after her family moved to Lincoln, she continues to cherish the memories and friendships of early years in Fillmore County. Her wonderful memories of the summers in the 1930’s include playing with special friends, Saturday night outdoor movies downtown, skating at the roller rink just west of downtown, lots of good memories. Noble, was the second of six children. 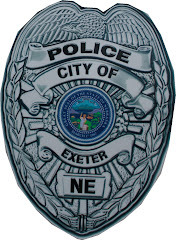 She went to Exeter Public School and her father served as the assistant postmaster. Things changed for their family during the winter of 1940 when the family home burned to the ground. It was so cold the volunteer firemen could not get the fire truck started and the house was lost but everyone got out safely. The Long family moved to Lincoln in 1942. While she never forgot Exeter and her friends here, Noble adapted well to life in Lincoln, graduating from Lincoln Northeast, attending Nebraska Business Institute, finding a job and eventually marrying and starting a family. After a career working within the political system in Lincoln, Noble “retired” to work in the senior system. She was appointed District 26 Nebraska Silver Haired Senator and later became an active member in the Nebraska Silver Haired Unicameral Alumni Association. At that time, Noble committed to writing two columns for each quarterly issue of Lincoln 55+. One article offered Silver Haired information while the other column was planned to offer varied information of interest to seniors. An early recipe column was so well received that The Reluctant Gourmet was born, according to Noble. Eventually she collected the articles into her first book Reluctant Gourmet Recipes and Other Noteworthy Things which was published in November of 2007. A second book The Reluctant Gourmet Cooks For Kids Too, published in December 2009, was printed in large print and includes most recipes and some articles from the first book plus popular recipes from a column titled Kids In The Kitchen With Grandma Noble which appears in the quarterly Lincoln Kids newspaper. Both books offer other articles written by Noble for the two Lincoln quarterly newspapers. Noble's granddaughter Melissa Baker, who is interested in photography, provided colorful photographs of scenic images to add color and personality to the two books.. When asked about the term Reluctant Gourmet, Noble replied "It means I enjoy good food but I am not inclined to understand why anyone needs to spend a substantial amount of time on the preparation of any one meal." After the publication of the books Noble was determined to find a way to share some of the books with her "home town". 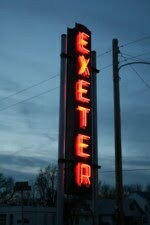 She said “growing up in a small town like Exeter gave me a feeling of what the real values are in life." So in turn, Noble decided to give back to Exeter. Through this website she made contact in Exeter offering to donate her Reluctant Gourmet Cooks for Kids Too. 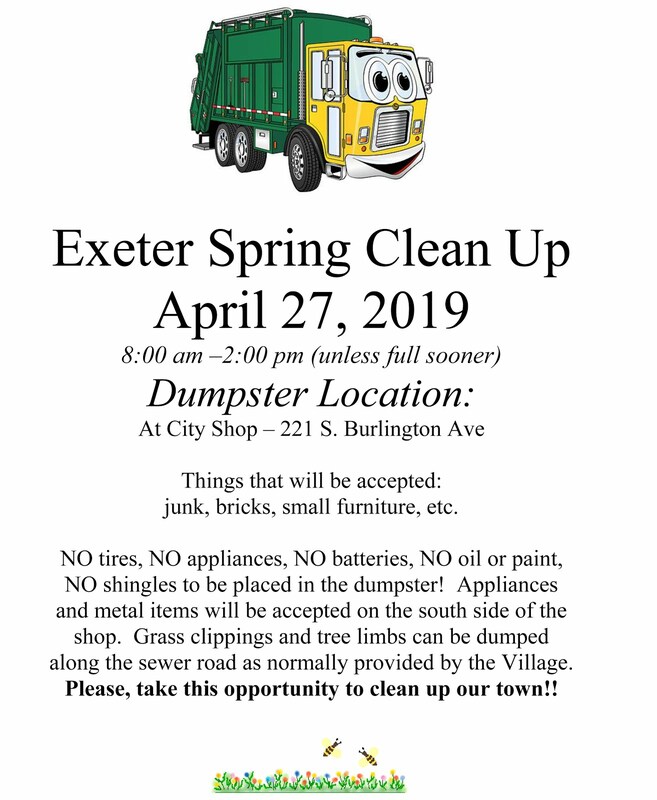 She has donated a substantial number of autographed cookbooks to the Exeter United Church of Christ Women’s Fellowship, the Exeter American Legion Auxiliary and the Exeter Girl Scouts. The groups are free to sell or raffle the cookbooks as they decide and will be free to keep all of the proceeds from the sale of the books. While in town, Noble also donated a copy of both of her autographed books to the Exeter Library. Noble also notes that the poem “Leaves” in her donated book was written by Carla Gentry Kaufman who also has ties to Exeter. The cookbooks should be available from the Exeter groups soon.